Not only does September mean the start of school, but in this neck of the woods it also means the excitement of Ilderton Fair is in the air! For our family Ilderton Fair is almost as good as the Christmas season, we get so excited as we anticipate the arrival of the fair each year! 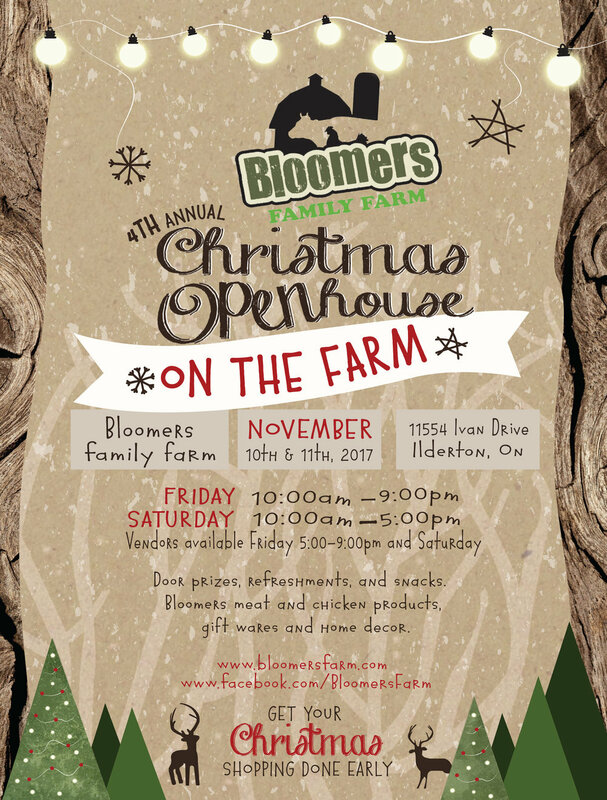 We generally only close the store for holidays, and Ilderton Fair is no exception. Because we close the store on the Saturday of Ilderton Fair every year, we thought we would give you a look into why we are so passionate about it. Our family is involved in the fair in many, many ways. Steve and his dad, Clare, have been both volunteers and board members with the Ilderton Fair for years. They along will many, many other amazing volunteers give hours upon hours of their time to help make the fair as successful as possible. All 4 of the kids are involved in the fair in one way or another. Both of the "bigs" (Nathan & Hayley), are involved in a local 4H club, beef and sheep respectively. On the Saturday both of these 4H clubs hold their achievement day. The bigs work all summer on their animals preparing them for the achievement day at the fair. It's a great experience for them, and a nice way to end the club each year. On the Friday night of the fair, Nathan participates in the Beef Show and Sale. We are very thankful to our butcher Trevor Edwards of Zurich Meat Market for supporting Nathan and buying his steer this year! On Saturday afternoon once he has finished his 4H achievement day Nathan participates in the calf scramble. Crowds of people come out to watch this event and cheer on the kids who get up enough nerve to "throw their hat in the ring" as they say. Nathan has also begun to follow in the footsteps of his father and grandfather and help out wherever and whenever he is needed around the fair. He was able to help out during the tractor pull and demo derby, and helped with set up and tear down over the course of the weekend. Steve is also involved in the 4H achievement day as he has been a leader for the 4H Beef Club for the last number of years. He enjoys working with the kids and their animals, and spends most of his Saturday at the fair, in the barn helping to make things run as smoothly as possible for the 4H club. Nathan attempting to put a halter on a calf during the calf scramble. Historically Hayley has also sold her lamb, however this year after a suggestion from her dad she decided to try her hand at a breeding ewe. This meant that she would show her ewe for the 4H achievement day but it came home with us this time. She is currently in the process of having her ewe bred by a ram, whom she named Ronny, and is hopeful for some baby lambs some time in March if all goes well. A very exciting venture for her and the farm this year! Hayley and her "partner in crime" after their 4H achievement day show. The "littles" (Mason & Wyatt), have begun their involvement in the fair by following in big brothers footsteps of participating in the mutton busting! A major event throughout the weekend of the fair, one that draws crowds of people to watch, definitely a must see attraction! Aside from that they just love to "live" at the fair, cheering on their siblings, and taking in all there is to see and do. It's great to have such an amazing event right in your own backyard, in a wonderful community! The "littles" and their buddy proudly showing their earnings after participating in the mutton busting! We (Bloomers), were fortunate enough this year to be able to donate the prize to the winner of the Baking Category in the Homecraft Department, with the highest number of points! Congratulations to Shannon Dewan! So as you can see we are very invested in our local fair, we love to support our community and the hard work of the many volunteers that pull it off every year, rain or shine! If you haven't had a chance to visit, be sure to make a point to come on out next year and see what you've been missing! Hayley and her friends playing the Bubble Soccer! We are so thankful to all of our amazing customers for understanding our desire to support our community! Hi my name is Kendra! I along with my husband, Steve, own Bloomer's Family Farm. I am excited to launch our new website and will be offering a blog where I can share exciting news, events, recipes, fun tips and more! Be sure to check back often and please come and visit us and our family on the farm soon!